Eureka Mills is situated along the Karringmelksrivier just after you enter the Hessequa region from the western side. It’s here on the farm in 1998 where two local grain-farmers, Lafras and Petrus Uys, set up the mill for the primary purpose of adding value to the wheat they themselves produced. Conservation farming is the norm in this part of the Southern Cape and wheat is cultivated in soil worked by light-toothed implements rather than disturbed by the conventional disc plough. As a result, the soil is high in natural organic materials. 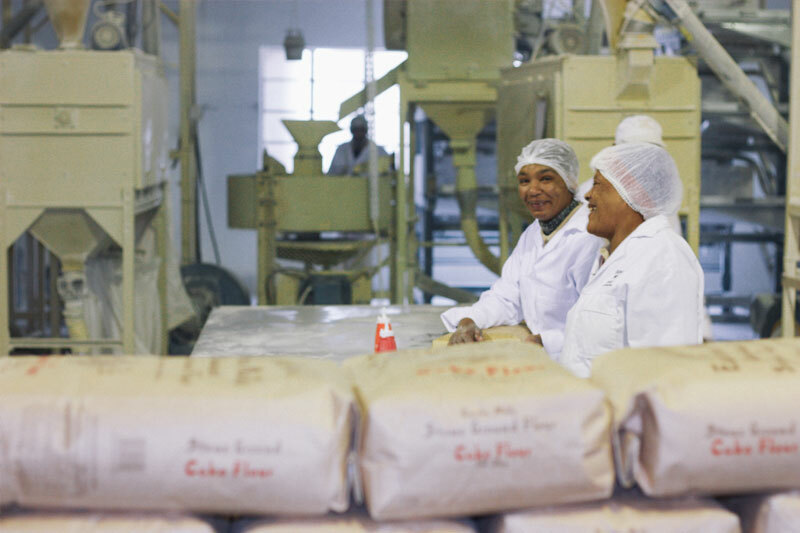 Read more about the process that Eureka follows in the production of their flour.